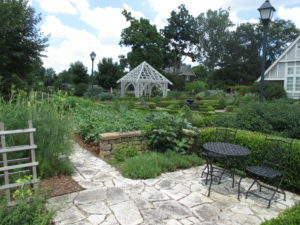 I knew the exploring the trade show at the Cultivate ’16 event would take some energy but I wanted to start the day with some local gardens as the day was sunny and beautiful. 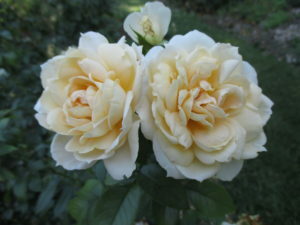 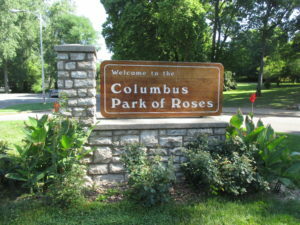 I started at the Columbus Park of Roses which lived up to its namesake with 12,000 roses (400 varieties) spread over 13 acres. 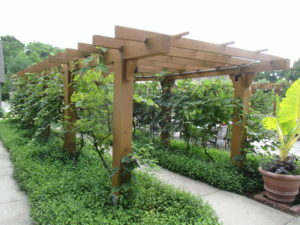 Founded in 1953, this is a poplar garden and I was amazed by some of the nice woody plant specimens on the property as well. 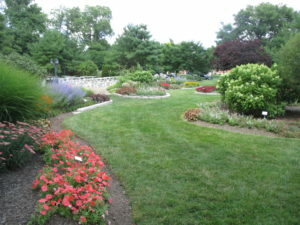 It was a nice morning stroll to be sure! 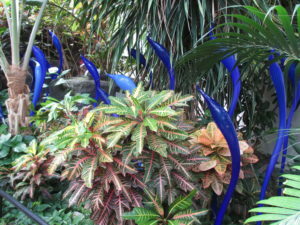 I then headed to the Franklin Park Conservatory and Botanical Gardens. 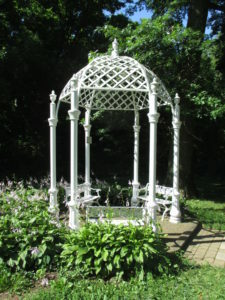 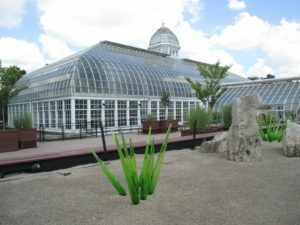 The Franklin Park Conservatory and surrounding gardens were exceptional. 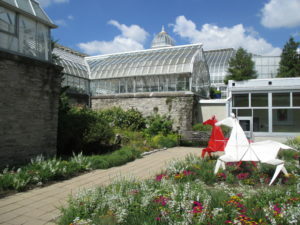 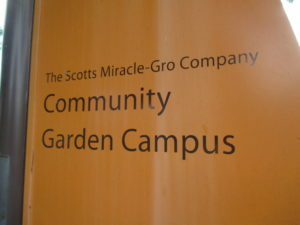 I spent quite a few hours no only enjoying the conservatory but exploring surrounding gardens including a vast, Scotts Miracle-Gro Company Community Garden. 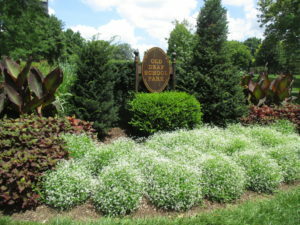 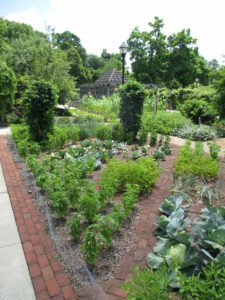 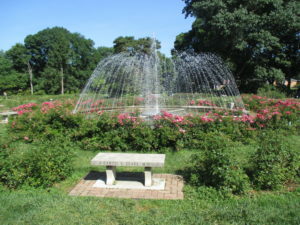 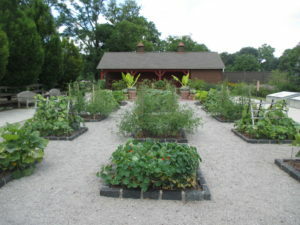 This garden had the reciprocity through the American Horticultural Society (AHS) in which RBG also participates. 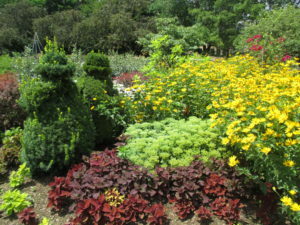 In essence, my RBG Member card saved me the $13 admission fee. 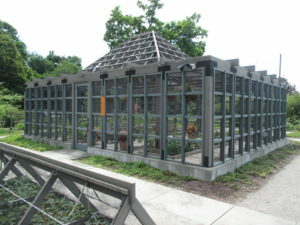 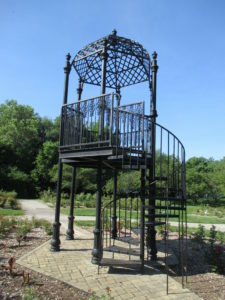 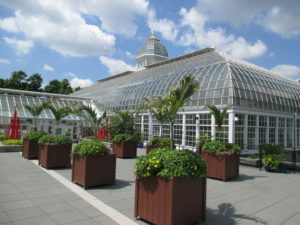 Dedicated in 1895, the conservatory had many additions and renovations over the years and sits in the 90 acre Franklin Park which also features a wide range of garden collections and themes. 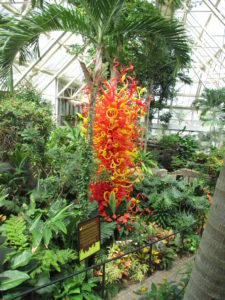 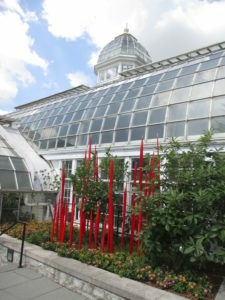 Many Chihuly glass artwork selections were scattered throughout the conservatory. 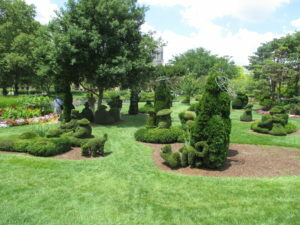 My third stop was at the Topiary Park in central Columbus which was previously called the Old Deaf School Park from many years previous. 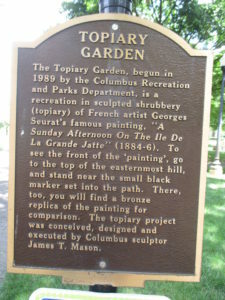 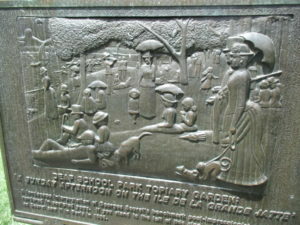 This was a nice little park that featured a 1989 installation by James T. Mason, sculptor and creator of the topiary interpretation of George Seurat’s famous painting A Sunday Afternoon on the Isle of La Grande Jatte. 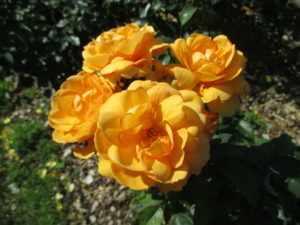 This is not a slow process but see below to appreciate what the goal is in terms of recreating that 2 dimensional painting in to a 3 dimensional viewing. Cool! 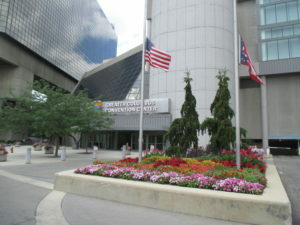 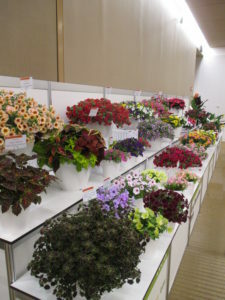 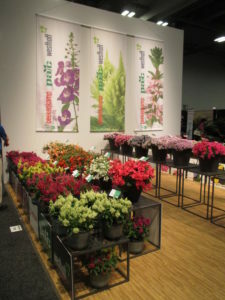 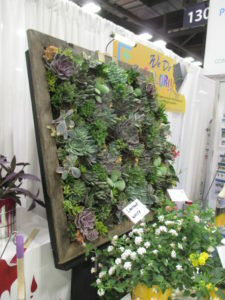 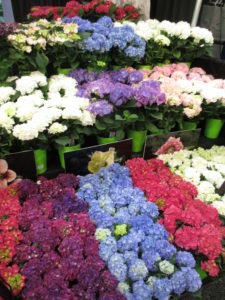 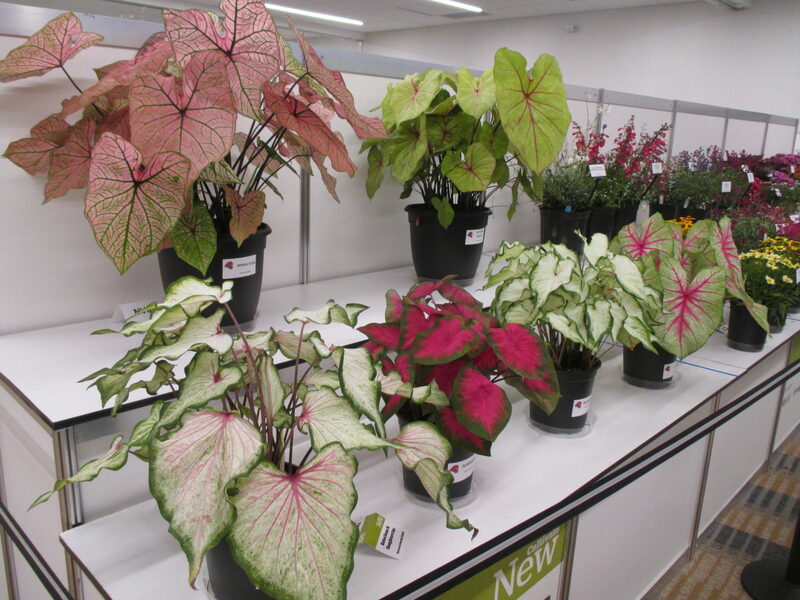 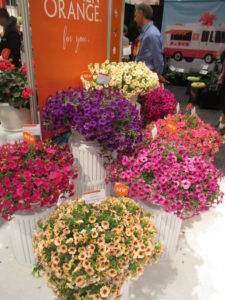 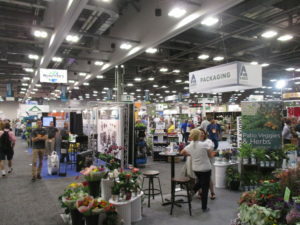 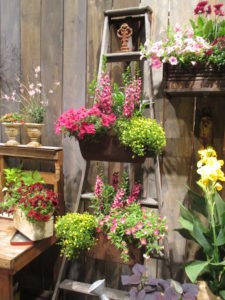 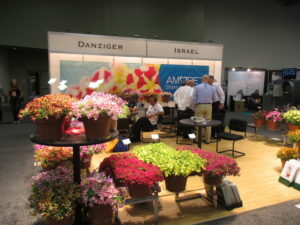 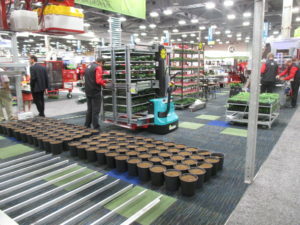 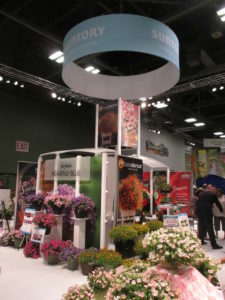 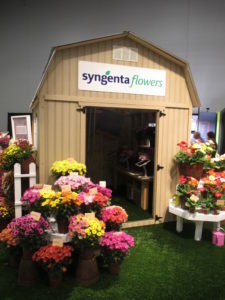 I then headed back to the Conference Center to tour the trade show and look at new plants.